The justification for the photo? More to prove that I haven’t just dumped my original ‘mentoring’ post into a new one without re-reading it and adapting it in the light of my current thoughts. Although, I could try to be clever and make a connection between mentoring, professional involvement and the Olympic and Paralympic values of respect, excellence, friendship, courage, determination, inspiration and equality. However, I find that it never works when I try to be clever, so let’s leave that there. Mentoring. Now, I do have some experience in this area. I did once work in an organisation where there was a formal mentoring scheme. All new members of staff were matched up with a mentor, so when I started, I was introduced to a colleague and when I was long enough in the tooth I agreed to become a mentor and was duly assigned a new starter. This was some time ago and from what I remember this was not professional mentoring as such. It was more akin to a ‘buddy’ scheme in that much of the support was pastoral, ‘Where’s a good place for lunch?’, ‘What happens with leave at Christmas?’, ‘When’s the next student conference?’, that sort of thing. It’s not that we weren’t supporting one another professionally, in fact my mentor acted as a critical reader for my application for chartership. It’s more that being fellow professionals not only in the same sector, but within the same organistation, there is a limit to the neutrality of your perspective, insight and opinion. Do I think that mentoring is a force for good? Yes. I gained from both sides of the mentoring fence, I valued the coaching and support that I received from my mentor and I learnt much from my mentee. Mentoring is a good thing. The only caveat I would add is that I suspect that the best benefit is to be gained from mentoring matches made between different library and information sectors. Further fuel for the idea in my head that a mentor from outside of your own immediate professional sphere is a ‘good thing’ comes from the time that I served on the CILIP Assessment Panel that assessed applications for Certification and Revalidation. At that time, applications were predominantly sent to teams of assessors that worked in sectors other than those of the candidate. Precisely I believe to help build a reasoned, informed and above all neutral assessment. These Assessment Panels have since been superseded by the Qualification Board of which I have no participatory experience so I do not know if this is still how applications are assessed. If you can tell me, please do! Working my way through cpd23 has had the effect of making me more seriously consider preparing for another round of revalidation. Maybe I should consider finding a mentor? * How about you? Have you had or been a mentor? How did you find the experience? 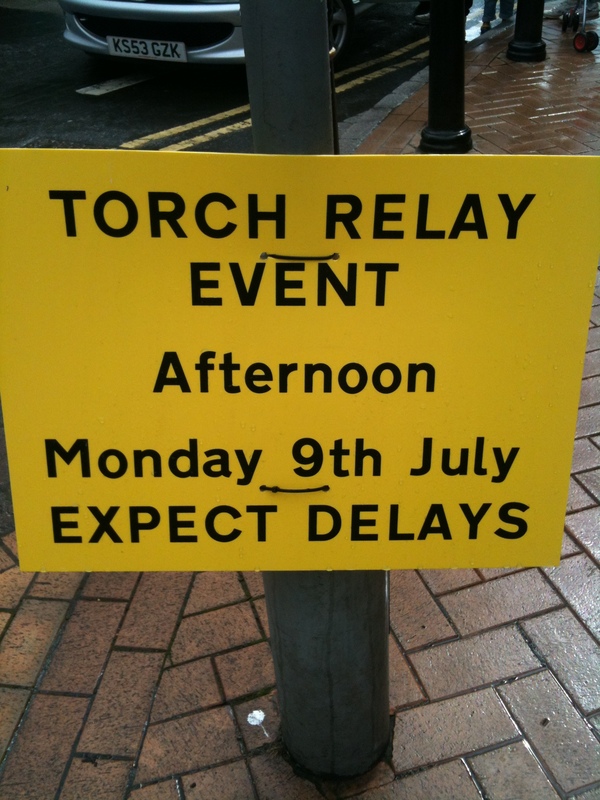 Right, I’m off to try to catch a glimpse of ‘The Torch’! * Note to self – start here: CILIP Finding a mentor. Posted on July 9, 2012 by pennylibrarianPosted in cpd23 - 23 things for professional development, mentoring, Thing 11Tagged cpd23 - 23 things for professional development. Previous Previous post: How did that get there and how did I get here? Hope you enjoyed the glimpse of the torch. It will no doubt have helped you illuminate your thoughts on finding a mentor. I enjoyed reading your comments on being mentored and mentoring. I’ve had a lot of experience of both sides, gained a lot of insight from the sessions. I agree that often having a mentor from outside your sector is very liberating and gives you a new perspective, as can having a mentor from outside your organisation. However, there are times in large organisations when having someone from inside has real benefits. I sued to work in the BBC and at one point in 1990s had a very good mentor from inside the organisation who worked in an entirely different sphere but who provided me with no end of helpful feedback and got me through a really difficult patch. I’m a great believer in getting the right mentor/mentee first time and agreeing on how long the relationship should be for, and what both sides aim to get out of it. Good luck in finding your revalidation mentor, and it would be interesting to hear what qualities you’re looking for? Thanks so much for your thoughts. You’re right to point out that in a large organisations there is plenty of scope to appoint mentors from outside of your immediate department/circle, I hadn’t considered that before now. I also haven’t yet considered what I’m looking for in a mentor, up until now it had never occurred to me that I might have a choice! If I’m honest with myself there’s a certain amount of trepidation with regards taking that first step to finding a mentor. Why that is I’m not sure. Perhaps I’m a little cautious about my current workload commitment. If I did go ahead, what qualities would I look for? Someone that I can get along with. Someone that can give constructive feedback. Someone that can poke me with a stick when I need it. I’d be really interested to hear what you feel makes a good mentoring relationship.